I love Easter, Spring is in the air and Daffodils can be seen sprouting from the ground beside that of the Bluebells. Its the day you’re technically allowed to scoff our faces with chocolate and not feel so guilty about doing so! 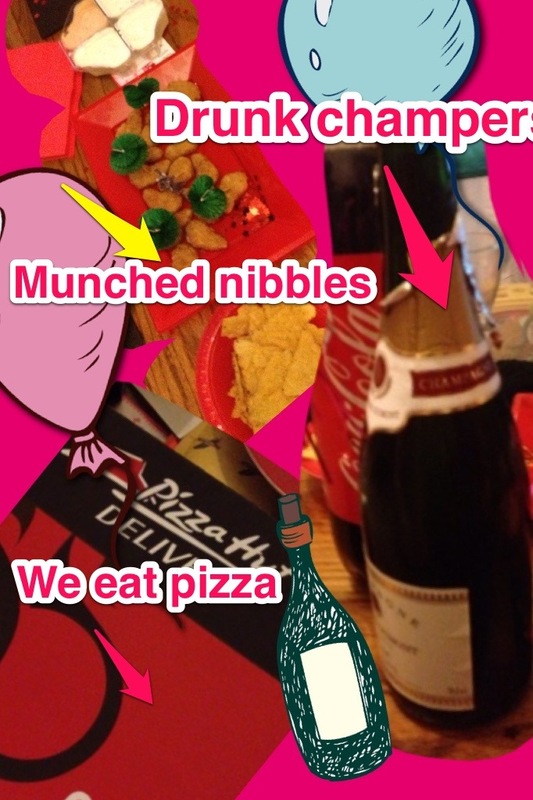 However, lets be honest, it isn’t the healthiest tradition is it? And as a woman, I always beat myself up a little following the Easter Binge. Nonetheless, there are many other cute gift ideas that can be given at Easter, ones that don’t actually involve any chocolate at all! 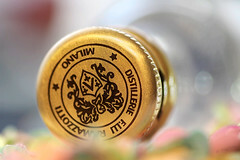 Whats more, you can actually craft many of these gifts yourselves making them that bit more personalised and special. I made a cute Easter basket that I filled with decorated eggs and then shared here on the blog last year. Today I’m creating an Easter basket of a different kind! One a bit different from the norm. 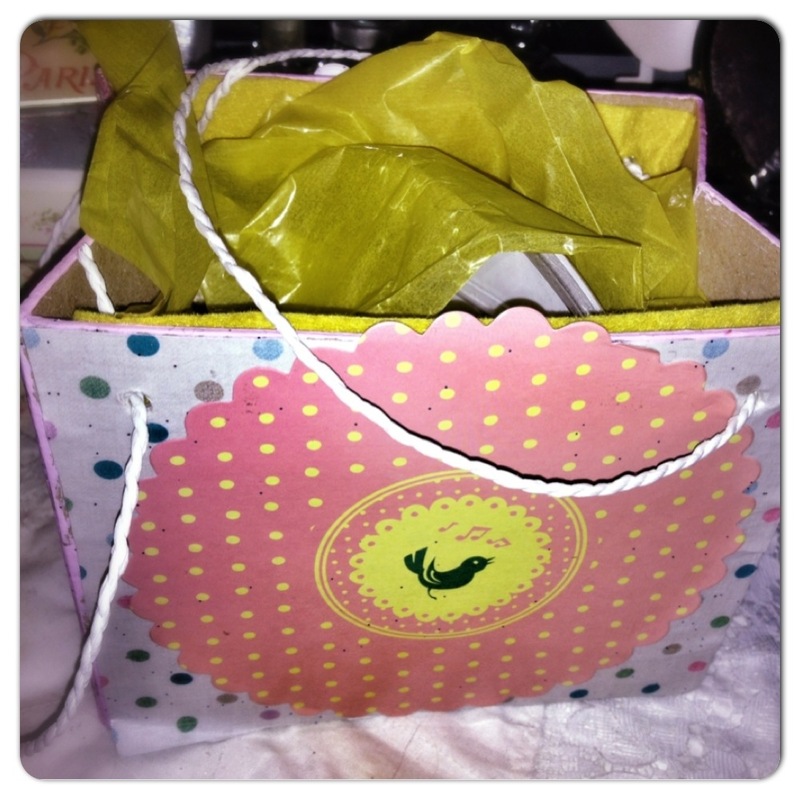 I guess you could call it a bag, though its Easter themed all the same. 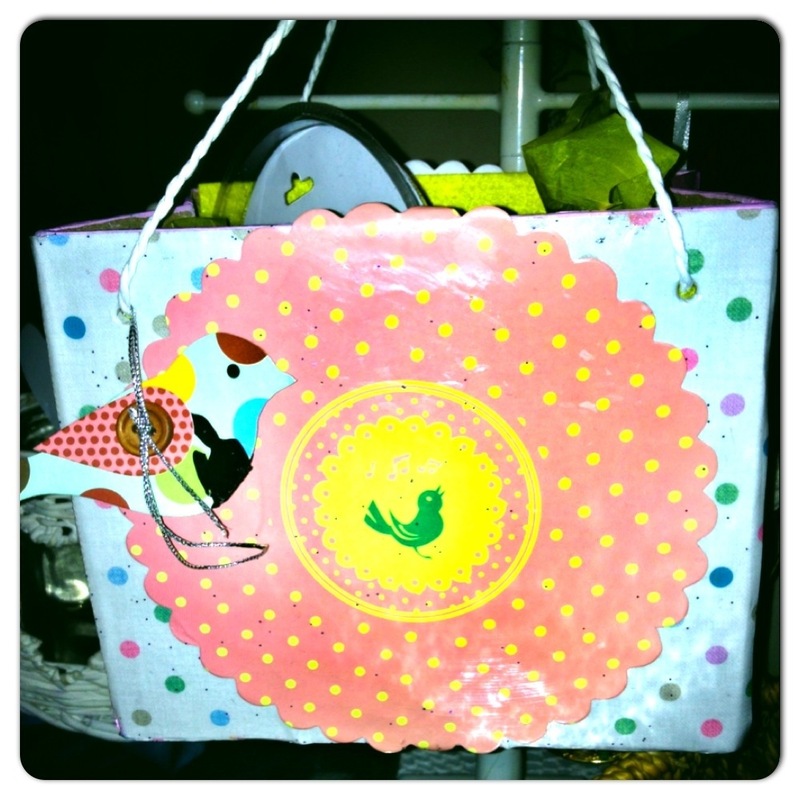 A very cute Box bag decorated with spring and Easter in mind, then filled with cute little treats for my daughter. Other items include gifts to place in your box bag. 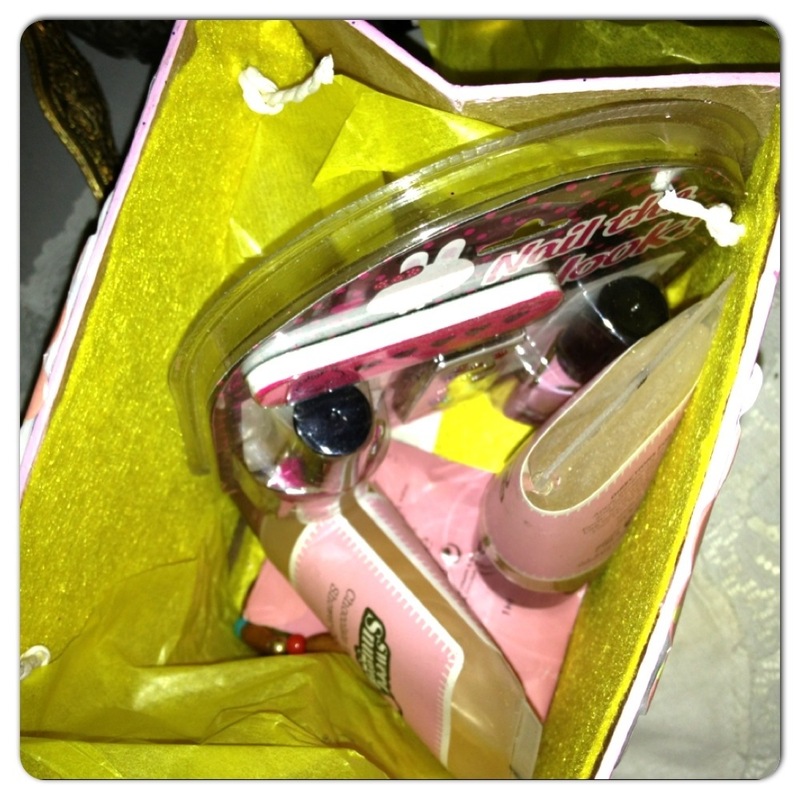 I’ve filled mine with little bits like bath lotions and bubbles, mini nail polishes and bangles. 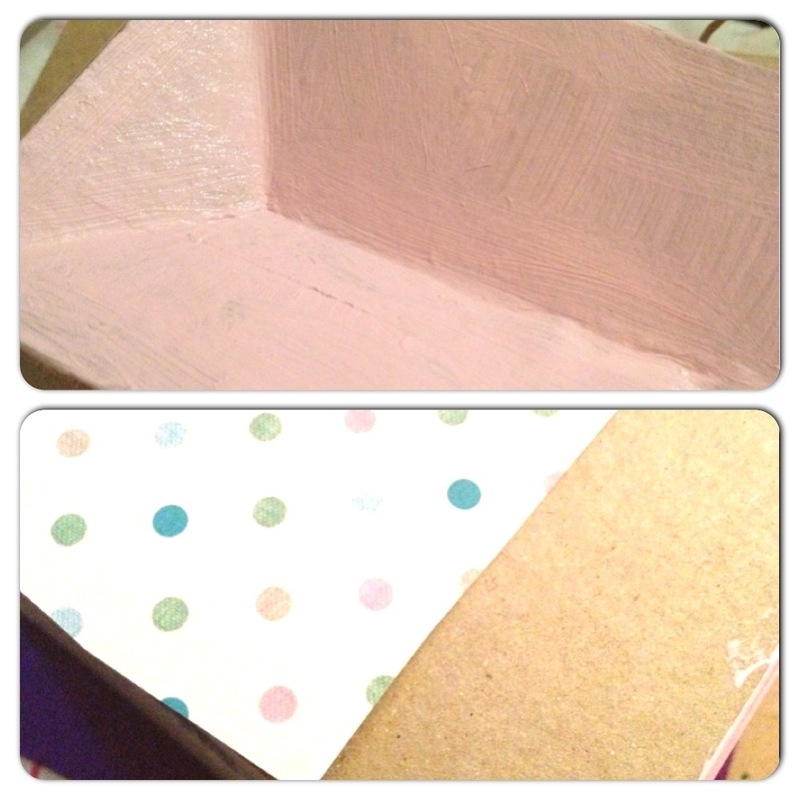 First paint the sides of your box in pink paint. Also paint the edging of the box. Leave to dry and then apply a second coat. Cut off the boxes paper handles and discard. Next cut you’re decorative A4 paper in half (I’ve used a nice sheet of pastel Polkadot paper in A4 size). Now line it up to the top edge of the box, roughly trim excess paper but be careful not to trim too short. Once you have applied the paper we can then trim of any remaining excess. 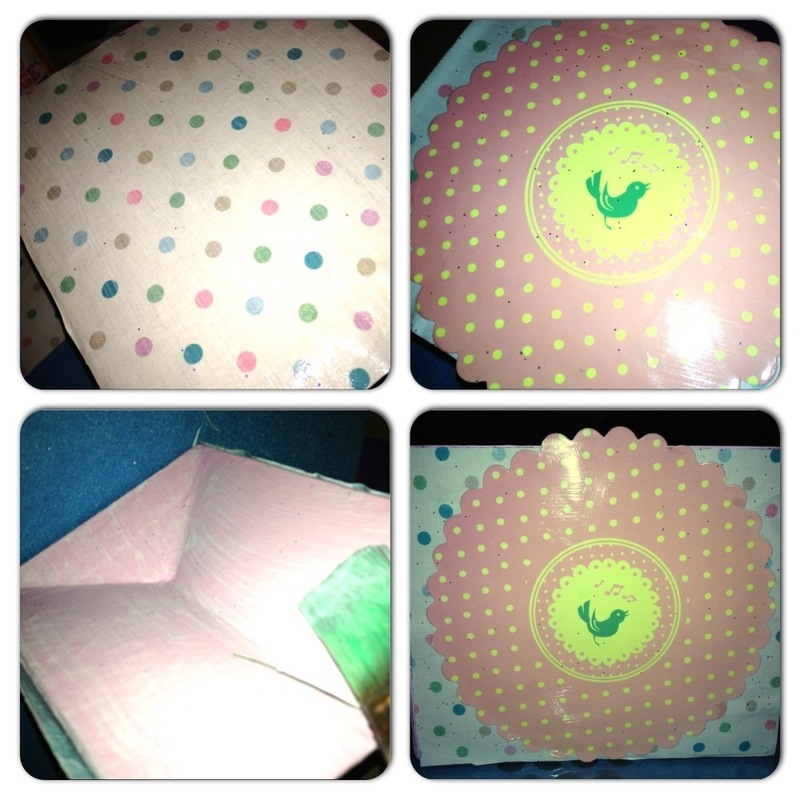 To apply the paper, paste on a coat of mod podge gloss and apply the paper to the boxes front. 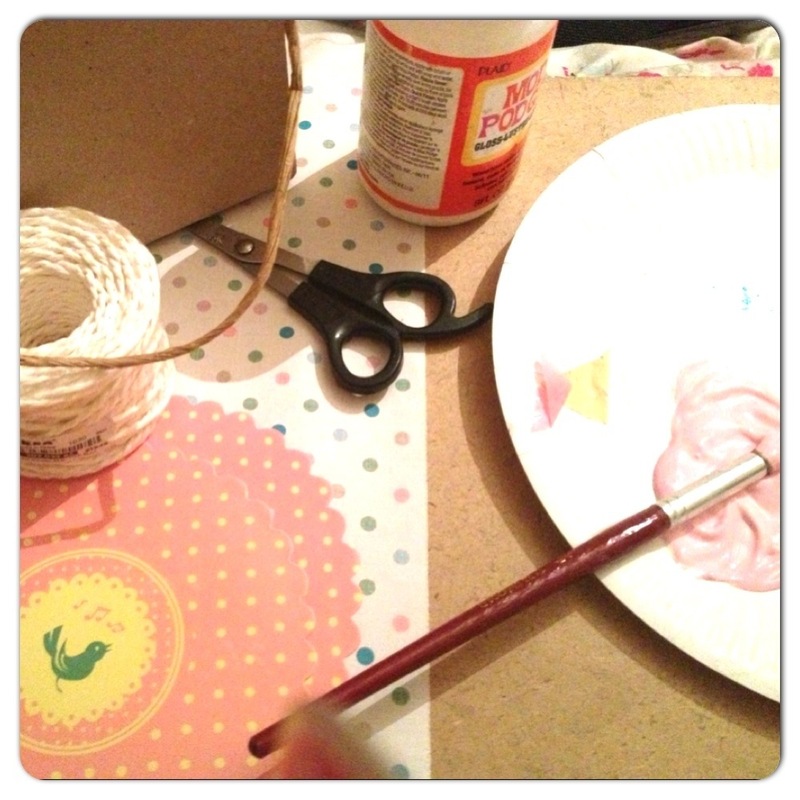 Add a second coat of mod podge over the top and leave for 30 minutes to dry. Don’t worry about applying the paper over the holes that housed the paper handles, this is fine, we will address this later. Once dry repeat the entire process on the opposite side of your box. Once you have papered both sides of the box and it is dry, hard and shiny, trim off any excess paper to make your box tidy. Now take one off the jam jar covers. You should have two identical paper covers, one for either side of your box (mine has this cute birdie in the centre and came in an assortment of jar preserving labels from dotcomgiftshop). In the same way you applied your paper to your box (glue both on the surface and over the top off the paper) repeat for both sides and leave for half an hour to dry. Once this has completely dried use the point of a thin paint brush to push through the paper and expose the holes for the handles. As the inner section of the box has not yet been covered these are easily located. Do this for all four of your holes. 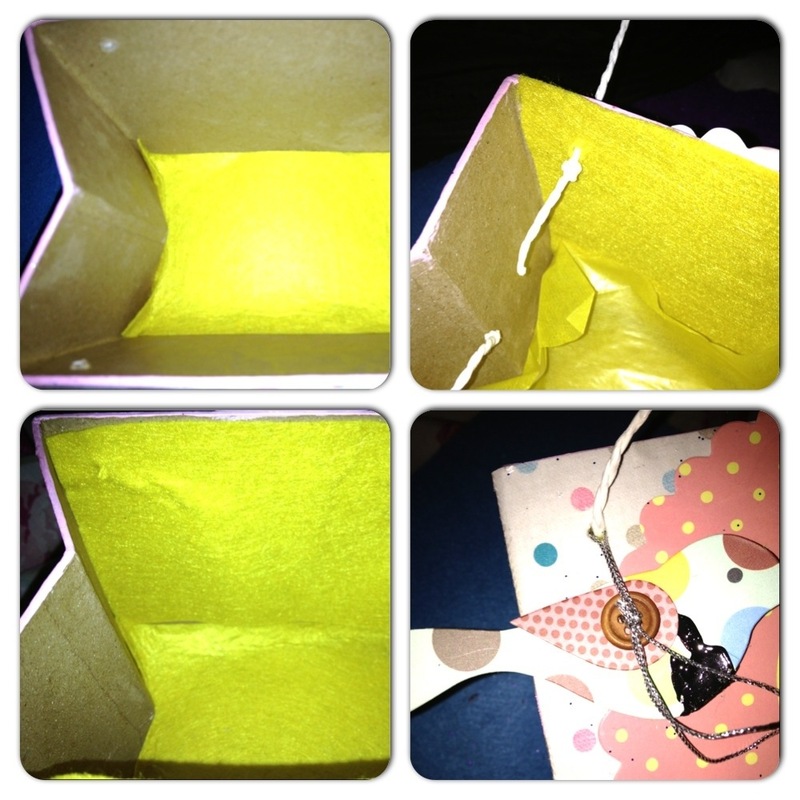 Now cut some yellow felt and lay it at the bottom of the box. Repeat for the two larger inner sides only this time secure with a few glue dots on each. Now take a sharp pointed craft tool, the point of a sharp pair of scissors or even a sharp pencil to push through the exposed holes penetrating the felt lining on the inner section of the box. Now you will need to cut 2 white pieces of string (mine is from Ikea). Cut these to a size that suits. I’ve opted for short handles. Simply thread the string through the holes so one piece goes from one side of the box to the other (as the original handles were before removing). Do this for both pieces only on one piece, tread through one hole and before treading through the opposite side, tread on your little cute birdie tag so the decorative side is seen when it lays flat against your box. Tie all the ends of the string so the handles are secure. Make sure the string attached to your little birdie tag is on the piece of string you’ve tied off to ensure it doesn’t move around the handle freely. Lastly cut your yellow tissue paper and use to bulk out the inner sections of the box while also covering the remaining sides. This will also keep your surprise gifts cushioned and ever so slightly concealed from little wondering eye. Cute Easter Surprise wouldn’t you agree? Every little girl deserves something pretty in their Christmas stocking and what better then a pretty hair accessory to go with that pretty festive dress they’re be wearing this Christmas. 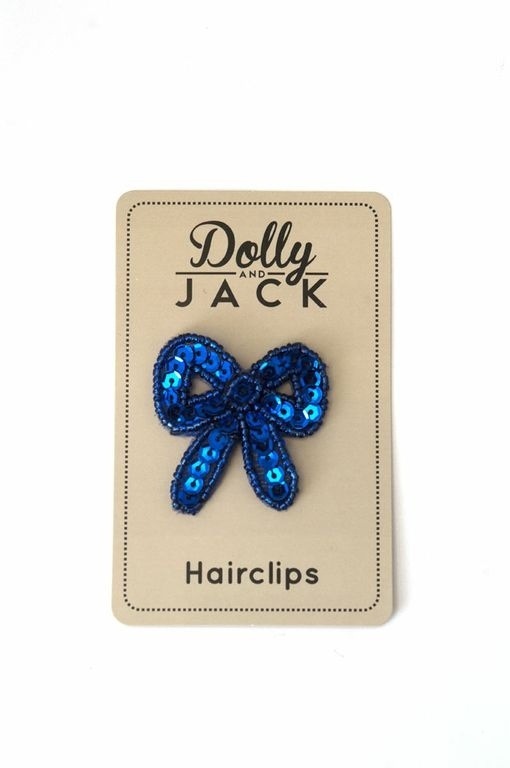 The Dolly and Jack range of handmade hairclips are truly beautiful and worn alone make a stunning statement piece. 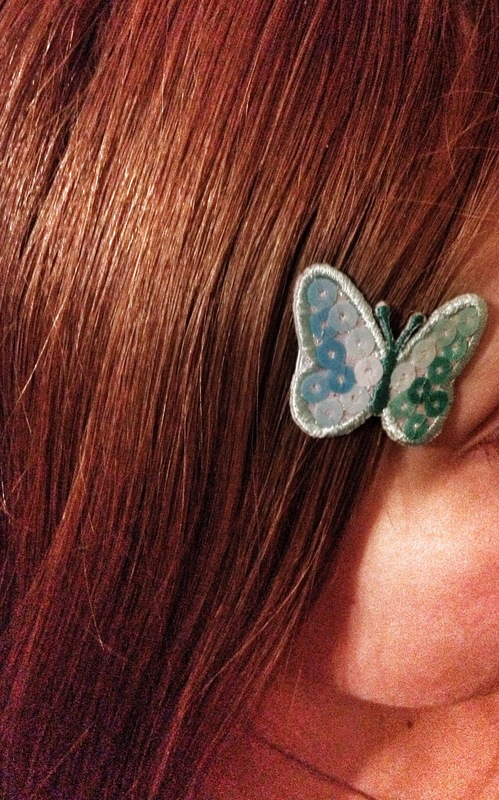 My daughter Alice is wearing one of the clips from their range called ‘Stella Butterflies’ which is a beautiful delicate sequin butterfly fully lined with grosgrain ribbon made specifically for baby soft fine hair. The clip is dainty and pretty with just enough sparkle for the party season. We found that the clip didn’t catch or break the hair, it was as easy to put in as it was to remove. 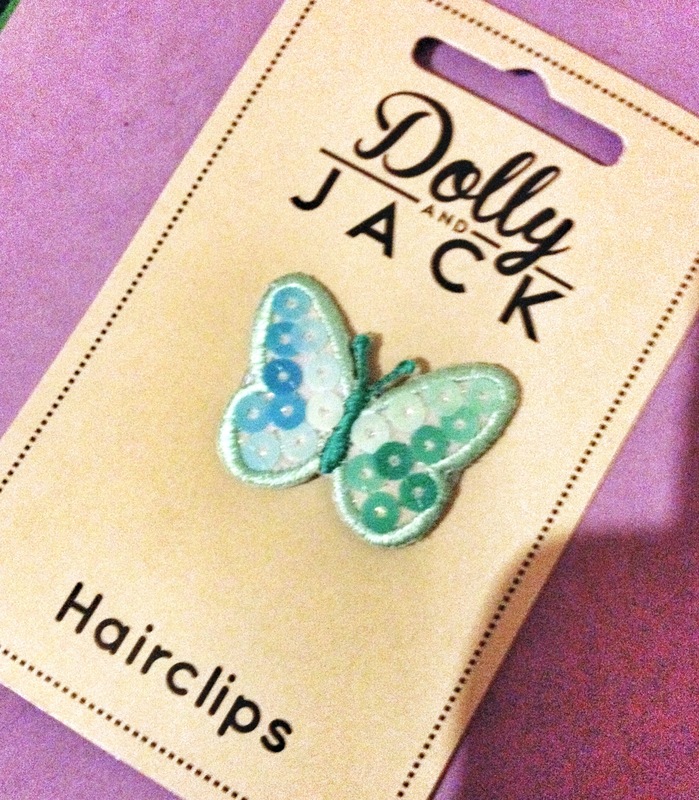 This specific clip is available in a good range of colours to suit all hair colours and complexions. Other clips in the range that really stood out for me are that of MIA SKULLS with its ultra sparkly design that also has that added edginess about It.The skulls are so beautiful and are that bit different from your typical bow clip. Another fun design Is that of the MINNIE MICE Range. 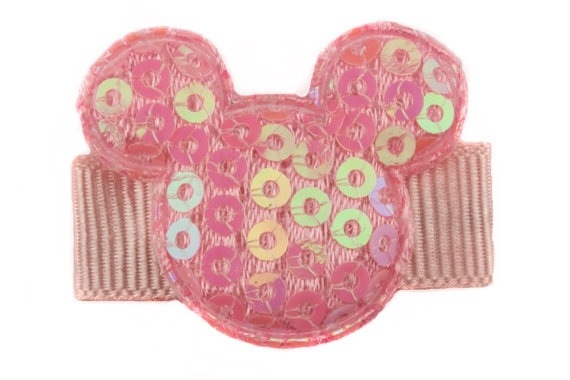 These sequin Minnie Mouse style, non-slip hairclip, come with or without a bow and again these are sold in a good selection of colours. These are extremely cute and would look beautiful on a toddler. 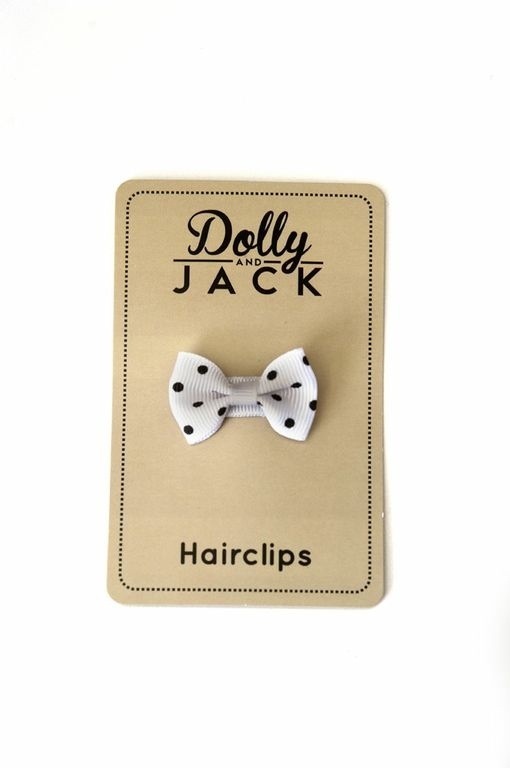 Dolly and Jack hair clips start at as little as £3.50 inc VAT. Visit the Dolly and Jack website for more Gorgeous designs and full pricing information. With the Galt friendship braids you can create all sorts of friendship braids from bracelets, hair braids and more. The set comes with everything you need to make fashionable friendship braids and my daughter Alice-Sara loves it. Included in this kit you will find lots of colourful threads, beads and ribbon. holographic stickers for use on the flat beads provided, a foam braiding wheel and an instructional booklet. Alice-Sara even made the toddler a braid which his enjoyed wearing all week. The only problem the girls had with the kit was using the foam braiding wheel. 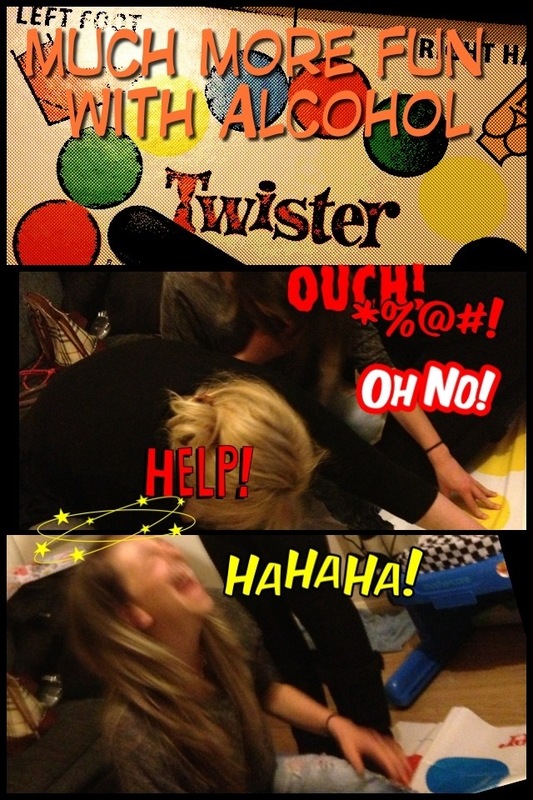 They found the instructions difficult to understand and just made a tangled mess. Nonetheless you can make all sorts of braids without the wheel and this is what they did! The Galt Friendship Braids Kit is available to buy from Toys R Us for £6.99 which I think is very reasonable and would make a great gift for any creative child this Christmas. The Harumika Bridal Collection Set by Bandai came in our second trutoyologist box. Alice-Sara couldn’t wait to get this out of its box in-order to start designing her very own Bridal Collection. I’d seen these at the 2012 London Toy Show and was keen to discover more about them. This is not the first set that Bandai has launched, however it was the first Harumika set we had tried. The packaging is a very girly pink with design images and a 123 step instruction diagram located at the back of the box. The box has a clear window at the front allowing you to see all the contents inside. For me this is a great selling featuring as its good to know what your actually getting for your money before leaving the store. Sadly, what I did find strange is the fact there are no instructions inside the box. I gave it a good shake in the hope the instruction booklet would fall out from the bottom but it didn’t. In all honesty the set is dead simple to use and takes no time at all to get to grips with it. For us the 123 mini demonstration at the back of the box was more than enough. However I can’t speak for everybody and some may feel a tad let down at the fact there isn’t more detailed instructions or a design booklet for inspiration. Not that Alice needed one. Her creative flair was taking over and she was having a great time experimenting with her new Harumika set. A great selling point for Harumika is the fact you can make stunning designs with out the need to cut, glue or sew. There really is no mess with this set and for me this made it seem very attractive. The Harumika Bridal Collection comes complete with 2 design tools which are basically a small stick that you use to push the material into the silicone slot located at the back of each of the two Mannequins. This works well to snugly hold your designs in place. At first glance, many will feel £39.99 is a lot of money for what it is they are getting. Admittedly, I felt the same way! But, and this is a big But! I soon changed my mind when watching how much Alice could create with the materials supplied in the kit and how long it kept her occupied for. Below are images that shows all the contents when removed from the packaging. Included are 2 Mannequins (one already dressed) 2 styling tools, lots of material, transfers (gems and stones) and a number of trimmings such a ribbon. Also in this set you will find a fold out dressing room with mirror which creates a lovely backdrop to display your finished designs. Another great feature to this set is that you can keep on reusing it. As there is no sticking or sewing! Material just goes back into his normal sharpe and form. It is easily removed for reuse once released from the silicone slot on the Mannequins back. This means you can go on designing and no additional materials need purchasing. For those reading this, I take it you have access to a computer? Harumika has its very own website where wannabe fashion designers can come together and share their design inspiration. Regular creative competitions and fashion shows are hosted on the site and its packed with tips and ideas to help you create perfect collections every time. 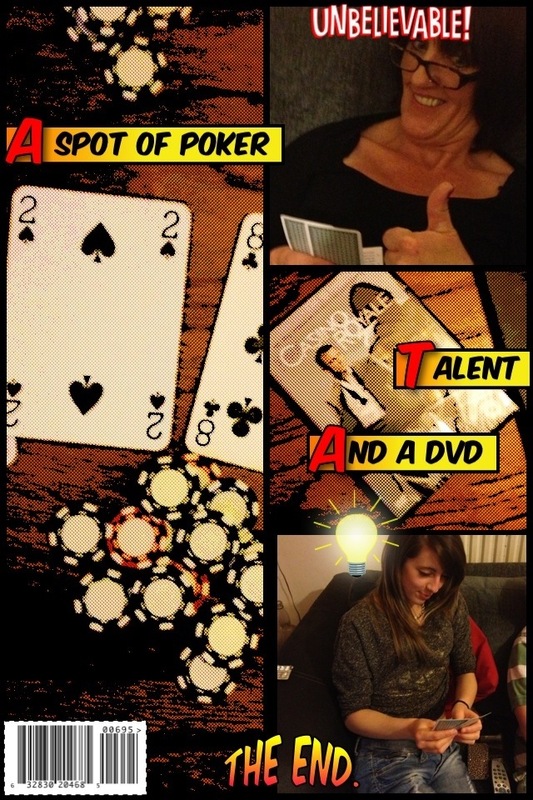 Alice-Sara really enjoyed this activity and has requested another set for Christmas. As a parent I feel that its one of those toys you either love or hate. I love that the child isn’t required to follow a step by step guide to copy Pre-designed dresses. Instead This is a set that requires the use of your child’s imagination which is sure to produce more unique and magical creations. For me its a brilliant fit for Alice’s creative flair and the fact its mess free is just a massive added bonus. 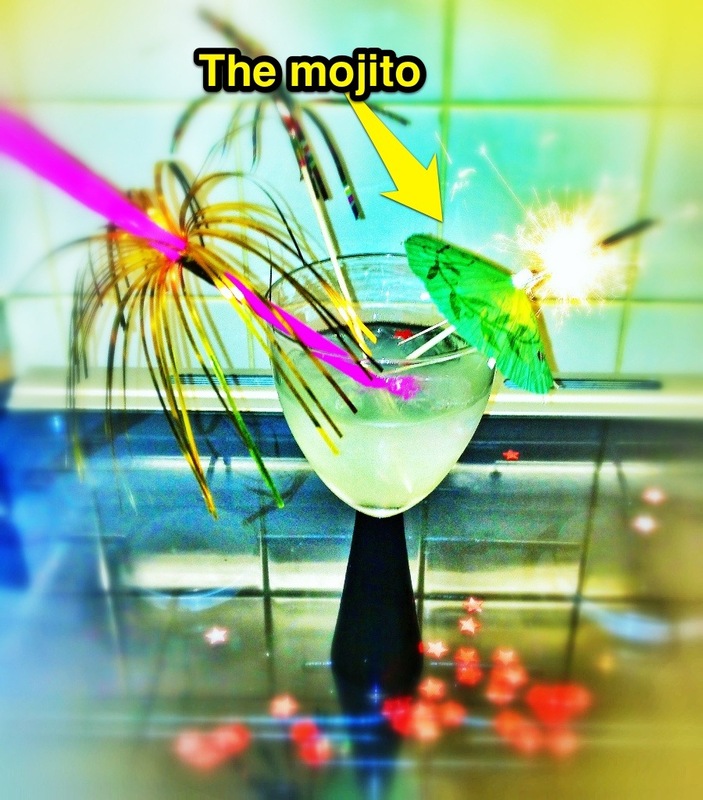 Ok… Maybe Not! I think he just wanted someone to give him his dinner! The Harumika Bridal Collection is available to buy from Toys R Us stores and will bring a smile to the face of any little fashion designer. Check out more reviews from my mini trutoyologist and many others on the Toys R Us Toybox blog. If anyone here reads my blog A boy with Aspergers then you will know that I am taking part in the ‘Davina for Next’ trails and fitness programme. While I was over on the Next bloggers network, submitting my most recent post, I came across a press release regarding the Next spring collection for girls and just had to come here and share it with you all. My daughter who is 8 years old (well, actually she will be 9 in a few days) is absolutely barmy about fashion, just like her mummy! 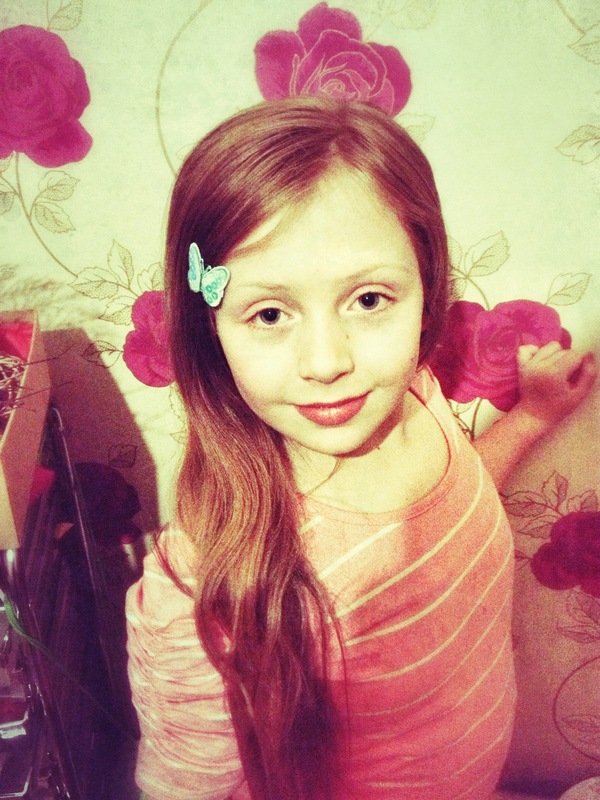 My princess, ‘Alice-Sara’ could literally shop in-till she drops and loves a long days shopping with her mum! With this in mind I allowed my Little princess come fashion diva, a sneaky peek at the Next new spring range and already she’s declared what she’s gotta add to an already bulging closet. Judging by what’s on offer, it seems that block statement colours, are here to say, what with the new pretty ‘Colourwash’ collection of skinny’s that are bound to impress any fashion diva. There is a whole host of awesome colours to choose from whether you love pastel shades or something that bit brighter, these are simply a “Must Have”. That’s not all… for those who want to create head to toe colour, then checkout these super cute colourful cardigans! 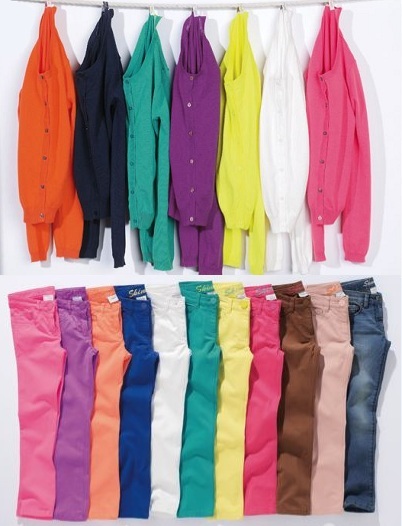 Are you daring enough to create a look of clashing colours? Maybe you’re the type to play it safe! I myself like to colour co-ordinate, though saying this, my daughter is definitely that little bit more adventures! One of my favourite finds was this stunning stone frilled Mac with hints of pretty pink and detachable corsage. Next do a whole collection of items taking on these more subtle, natural shades and tones. This Mac looks like it fits and hangs really well, it’s not drape and oversized. Not only does this Mac look really smart but when teamed with a pair of patent red pumps, it gives it that edge, therefore creating a whole new look that any little lady would love. I really do feel that Next have created a truly fabulous spring collection for girls! There are some real key pieces in the 2012 collection that are not only bang on trend but really affordable too, making the collection accessible to all budgets! 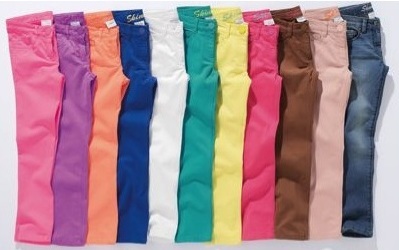 I will defiantly be shopping with you this spring 2012, much to my little girls delight!